Meghalaya is a beautiful state of India. The name 'Meghalaya' speaks about the beauty of the land, which means the 'Abode of Clouds'. This hidden land has gained popularity across the globe with its immense natural beauty. This hilly stripe is located in the north eastern part of the country. 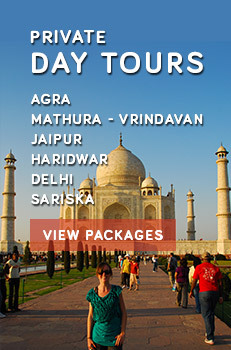 With Assam in the north and Bangladesh in the south, the land draws many tourists every year. Apart from the beauty, the land is also popular as an adventure destination. 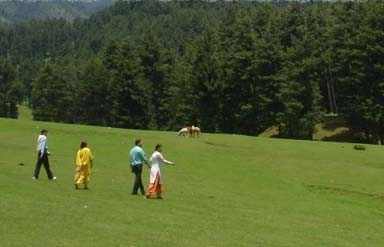 Trekking is one of the adventure activities that tourists can enjoy here. Being a hilly region, Meghalaya is counted amongst the preferred trekking destinations. Here trekking opportunities are as challenging as Himalayas. The difference is that hills here are not covered with snow like Himalayas. This beautiful region has many waterfalls and rivers, which please your eyes and keep the aura soothing. Trekking in such a beautiful environment is a different experience, which allures tourists from far-flung areas. This is one of the most popular treks in the region. State Library is the beginning point of this challenging trekking route. En-routing Laitkor, which is the reaching point of the trek, tourists can rest at Crinoline Falls. It is a popular tourist attraction of Meghalaya. Soothing aura at the Crinoline Falls not only refreshes the mood but also sheds off all the tiredness. Situated at a short distance from Shillong, Mawlyngot is easily accessible by road. This beautiful village of Meghalaya is the base village of the trek. 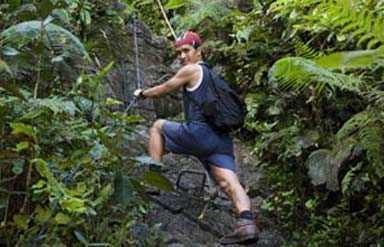 With destination as Singsong gorge, the trek allures adventure enthusiasts from different locations around the world. Views of Um Song river keeps the mood light and plays a wide role in making the experience memorable. This trek is slightly different from other treks in Meghalaya. It provides a challenging trekking route that starts from Um Song and reach the beautiful town of Pynursla. Roaring waterfalls and rich vegetation sooth the eyes, mind and soul of the travellers. To reach Weiloi, tourists can hire a private vehicle or can board on the bus from Shillong. There is a wide road network that connects the region with Shillong. Highlights of the trek are the two natural mineral water springs. This is comparatively tough route to trek with the reward of hot water spring at Umngi. There is another less exhausting route. With the base in Weiloi, that route reaches Mawblang.